This chapter will be devoted to covering the steps required to add printer access to a Red Hat Enterprise Linux 6 system. Printers may be connected directly to an RHEL 6 system, accessed over a network or attached to a Windows system on the network. By far the easiest type of printer configuration is when the printer is attached directly to the system via a parallel, serial or USB port. 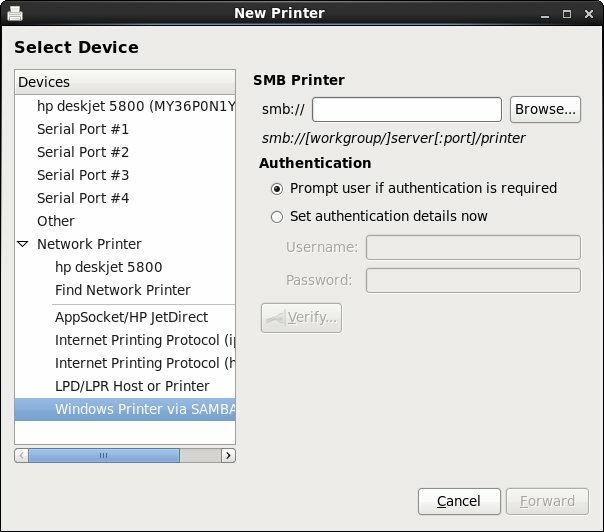 To configure a locally attached printer, invoke the Printer configuration dialog by selecting the System desktop menu and choosing Printing from the Administration menu. The tool will scan the system and display any detected printers. 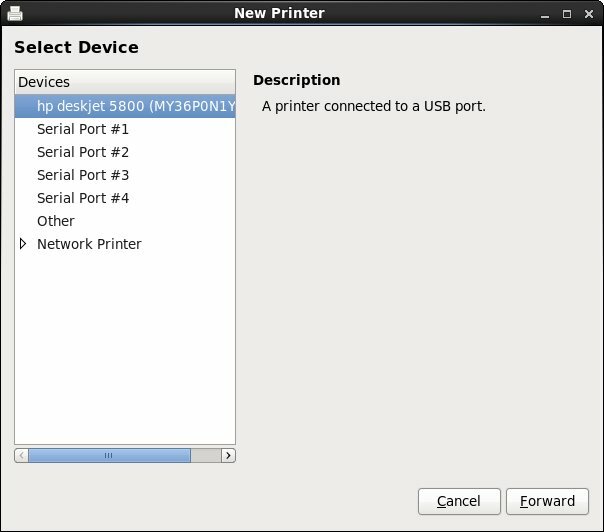 In addition to printers connected directly to a system, RHEL 6 is also able to communicate with network based printers (for example a WiFi enabled printer present on the same network as the RHEL 6 system). 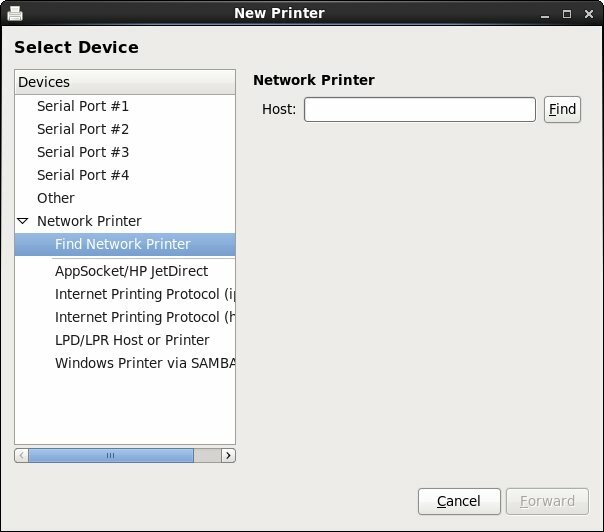 To add a network based printer, begin by launching the printer settings tool (System -> Administration -> Printing). 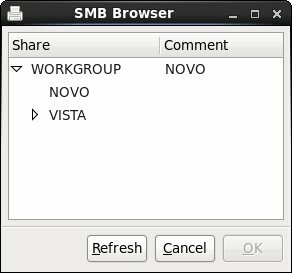 When the tool appears, click on the New button located in the toolbar and click on the Network Printer heading located in the Devices panel. RHEL 6 will list any network printers that have already been detected. If your desired network printer is not already listed, select the Find Network Printer option and enter the hostname or IP address of either the printer or the system to which the printer is connected before clicking on the Find button. If RHEL 6 can locate the printer it will be listed in the Devices panel. Once located, select the device and click the Forward button to search and install the appropriate driver. Once a driver has been installed, click Forward once again to provide printer name, location and other descriptive details. Finally, click Apply to add the printer to the system and to print a test page if desired. If you need to access a printer that is connected to a Windows system you can easily configure RHEL 6 to support this. The first step is to visit the Windows system and make sure the printer is shared and, ideally, find out the share name (though the RHEL 6 Printer configuration tool will allow you to browse the Windows network to find available printers if necessary). On Windows XP select Printers and Faxes from the Start menu and find your printer. Right click on the printer and select Sharing. In the properties dialog select Share this printer if it has not already been selected. Enter a Share name or note the name if one already exists. If the shared printer requires authentication you can choose to be prompted for the login and password each time the printer is accessed, or to store these credentials in the RHEL 6 printer manager so that they do not need to be manually entered for each print job. Having selected the correct printer, click on Verify to confirm that the printer is accessible to RHEL 6. If the verification is successful, a message dialog will report Print Share Verified. Assuming a successful verification, click Forward and follow the steps outlined in the previous section to select an appropriate printer driver.